You’ve probably heard of, or seen an Orangetheory fitness studio. The interval-based workout franchise, which is the brainchild of physiologist Ellen Latham, is exploding and now boasts over 700 locations nationwide, from New York to Alaska. While the name Orangetheory is cool in and of itself, there’s actually quite a bit behind it. Read on to have your questions answered about how much classes cost, what’s involved in each session, and what you’ll ultimately get out of a membership. 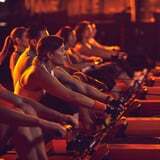 To get the most out of your workouts, you’ll need to buy into the gym’s so-called Orangetheory, which is based on the physiological theory of “Excess Post-Exercise Oxygen Consumption,” or EPOC, also known as the afterburn effect. Basically, the goal of any sweat session at OTF is to train within the “Orange Zone,” a target heart rate, for 12 minutes or more. Doing so is said to improve your endurance and overall fitness. With the afterburn effect, you will continue burning calories at an elevated rate even after your workout is finished. What’s Involved in a Typical Session? During your one-hour interval workout at OTF, you’ll be coached through both cardiovascular and strength exercises. A class might start out with treadmill, bike, or strider work, then switch to weight-training via TRX suspension machines and free weights. At the end of a sesh, OTF claims you will have burned upwards of 500 calories! Is There Any Special Equipment Involved? The short answer is “yes.” To effectively monitor your heart rate, OTF uses its own heart-rate monitors. So your Fitbit won’t be compatible with their app-enabled system. Once you are equipped with either the OTBeat Flex, a heart-rate monitor worn on your forearm, the OTBeat Core, a chest strap, or the newest OTBeat Burn, which can be worn on your wrist, forearm, or bicep, your individual heart rate is displayed on screens around the room. You’re only competing with yourself, however, since again, the goal is to hit the Orange Zone for at least 12 minutes of your workout. Fun incentive: for each minute you stay in the Orange Zone, you earn a “Splat point,” which can be tracked via the app. Membership rates vary depending on where you live. 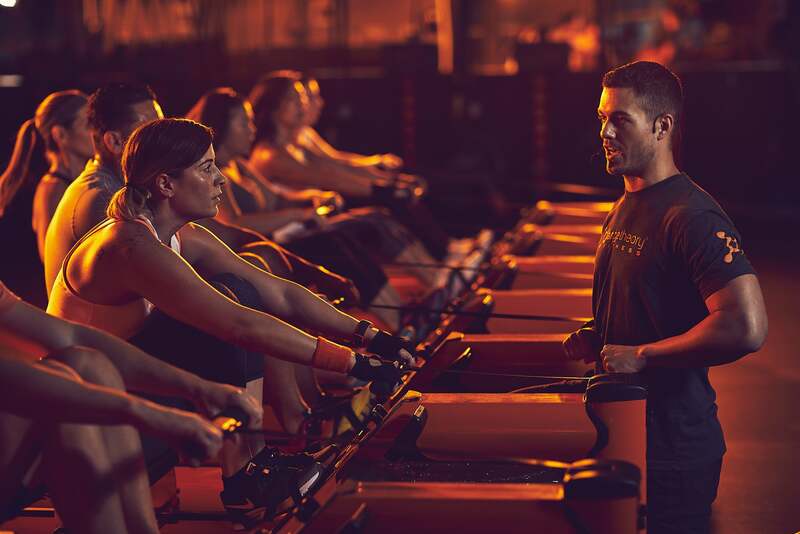 We talked to Orangetheory, and they told us there’s a range of membership packages to choose from, from Basic (4 classes for $59/month) to Elite (8 classes for $99/month) to Premier (unlimited classes for $159/month). These are just estimates, so it’s best to connect with a studio rep to discuss a plan that works for you; other premium locations, such as in Manhattan, Brooklyn, Washington D.C., Chicago, Los Angeles, Austin, and Dallas, cost more. If you live in Manhattan, you’ll have to shell out $199 for an Elite membership and a cool $279 for the Premier. No matter which level you go for, no annual contract is involved. Phew! And you can take additional classes at a discounted rate once you purchase a membership; the average cost of a class is $28. It’s also worth noting the heart-rate monitors require an additional fee; between $5 and $10 for a rental, and between $69 and $109 to purchase. The good news? Anyone can try a free introductory class. And there’s an app for that, too, and for booking future sessions. All this stuff about heart rate and points and interval training zones may sound intimidating. But the truth is, since your results are individually tracked and assessed, Orangetheory classes are designed for all fitness levels. The classes are led by coaches who are there to motivate you to be your personal best and reach your fitness goals. No matter where you start, OTF claims you will see increased energy in one month, “amazing results” in three months, and the start of a “new you” in six. Sounds like it’s worth a try!